Your littlest scholar can be working out their abcs or their intro to calculus and they'll always have the perfect spot to study at the Donco Kids student desk. 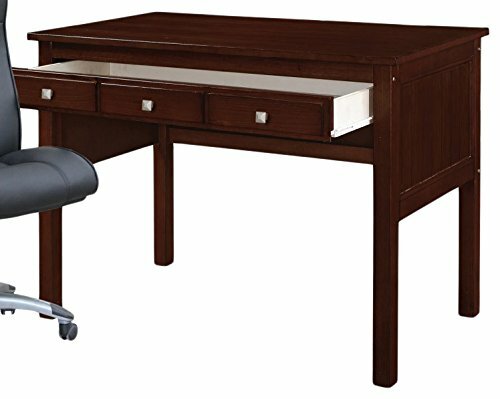 This sturdy desk is designed to get them through quite a few grades with a body of solid pine. A single pull-out drawer offers them plenty of storage for all the things that they need to have right at hand. Multiple finishes are available to match any style. Some assembly is required, but reading those instructions is good practice for doing homework, so we think you should get your child to help you put this one together. Pine construction. Wide, pull-out drawer with metal knobs. Classic, mission-inspired style. Some assembly required.